These hand-woven bags have been crafted by skilled female weavers in Kenya. 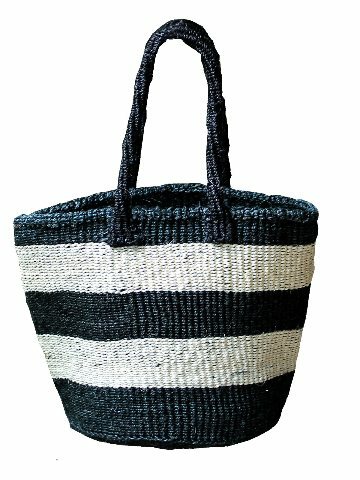 Made of sisal fibre which is incredibly tough, so you can stuff this natural woven tote full of goodies time and time again. Sisal is not only durable it is an environmentally friendly fibre as it is biodegradable and almost no pesticides or fertilisers are used in its cultivation. 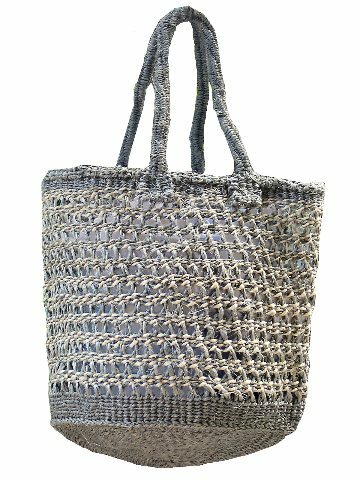 Ecofriendly and fairtrade these natural woven totes are the perfect carryall , not too large, they are sturdy and stylish all in one. 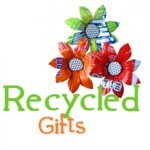 This sturdy Fair-Trade woven market basket is made from the fibrous leaves of the holga tree, which have been spun and hand-woven by artisans resulting in a bag that is both natural and durable. The Fair Trade tote is woven and assembled by artisans in Bangladesh, providing sustainable employment. 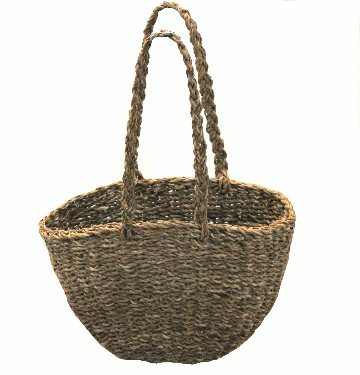 This roomy natural woven tote is perfect for those trips to the market, picnics or as a beach bag.